Craig A. Hallstrom, Eversource president of regional electrical operations for Connecticut and Massachusetts, on site at a substation. Eversource has built a massive substation on the Boston waterfront to provide the booming Seaport District with electicity. The biggest utility companies in Massachusetts aren’t just part of the team judging the competition for a giant new state contract for renewable power — they’re also contestants. If that seems like an unorthodox arrangement worth keeping a watchful eye on — well, it is. The state has received 46 proposals for one of the most important pending infrastructure projects in the Commonwealth: a massive electricity transmission line to bring more renewable power into New England. Each of the plans would meet the state’s requirements in slightly different ways, but generally involve routes tapping into some combination of Canadian hydroelectric dams, northern New England or Canadian wind power, and solar. The proposals stem from a law passed last year that’s designed to shift the state away from fossil fuels. With the scheduled closure of the Pilgrim nuclear plant, and the retreat from climate leadership at the federal level, wiring the Massachusetts power grid to those resources has become more crucial than ever. The law requires Massachusetts utilities to enter into new long-term contracts for renewables, which make the large transmission projects viable. Since the utilities are the customers, they have a seat at the table alongside state regulators when the decision is made on which project (or projects) to choose. But the process gets dicey when the state’s major utilities are also pitching their own transmission plans. Eversource backs the Northern Pass project, which would route transmission through northern New Hampshire. National Grid is a partner in a proposed 59-mile transmission line in Vermont and New Hampshire. State officials are well aware of the dual roles the utilities play. The Department of Public Utilities has to sign off on any deal, and, at the urging of Attorney General Maura Healey, the law included a requirement that the state hire an independent evaluator to ensure that the process is fair. The evaluator, Peregrine Energy, can stop any deal it doesn’t feel was properly awarded. But there’s another step the state could take to address the potential for appearance of conflict of interest in the process. The state should also commit to making public the scores used to determine winners. According to the state, evaluation criteria include such vague, subjective categories as “overall project viability” and “economic benefits to the Commonwealth.” It’s reasonable to consider those factors, but also reasonable to expect the analysis to be made public. If a transmission plan backed by one of the state’s utilities wins, it will inevitably lead to questions about the fairness of the selection process — even if that bid genuinely is the best for ratepayers. Full transparency will help preserve confidence in the results. The state might take a page from the gaming commission, which publicly released its assessments of competing casino projects. 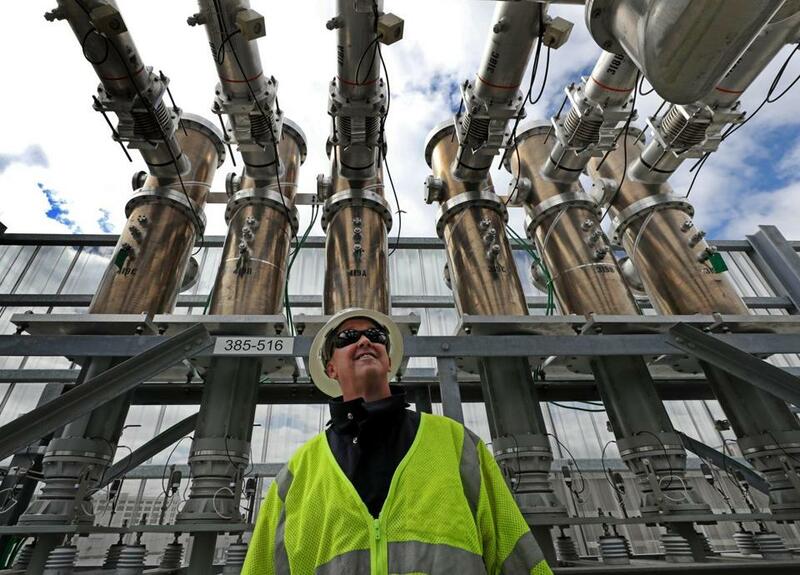 Building new electric transmission, in some form, is a vital prerequisite in the effort to wean Massachusetts from its overreliance on natural gas, which now accounts for more than half of the state’s electricity mix. The fact that so many firms have submitted bids is an encouraging sign. Now the state needs to deliver a fair, even-handed bid to keep that positive momentum going.